Leigh and Ellie dive into Saving Face for this Lez-ssentials episode, a recurring segment on the essential movies and TV shows in the lesbian canon. 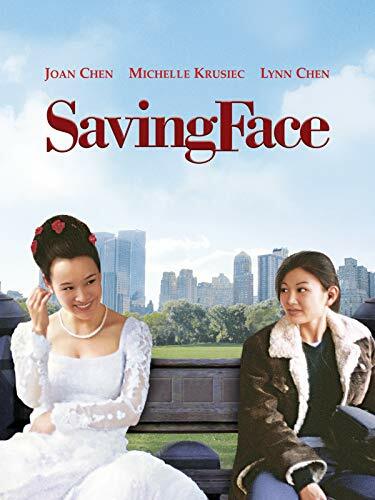 Saving Face is a 2004 movie about a Chinese-American lesbian and her traditionalist mother who are reluctant to go public with secret loves that clash against cultural expectations. This film stars Joan Chen, Michelle Krusiec and Lynn Chen. Leigh and Ellie love this movie and have a lot to say about one of the few lesbian rom coms that we have with a happy ending. We talk about mother daughter relationships, societal expectations and forbidden love. Lez-ssentials comes complete with a Saving Face drinking game because every lesbian movie should be accompanied by heavy drinking. This episode also comes with an original Lez-ssentials song based off of the movie titled "Bad Reputation." Follow along on Twitter: Lez Hang Out (@lezhangoutpod) and answer our Q & Gay at the end of every episode. Leigh Holmes Foster (@lshfoster) and Ellie Brigida (@elliebrigida). You can also join us on Facebook.com/lezhangoutpod and Instagram (@lezhangoutpod). Leigh and Ellie dive into Professor Marston and the Wonder Women for this Lez-ssentials episode, a recurring segment on the essential movies and TV shows in the lesbian canon. Professor Marston and the Wonder Women is a 2017 movie about the polyamorous relationship between Professor William Marston, Elizabeth Marston and Olive Byrne told through the lens of Professor Marston's creation of the comic book character Wonder Woman. This film stars Luke Evans, Rebecca Hall and Bella Heathcote. Leigh and Ellie love this movie and have a lot to say about its thoughtful depiction of polyamory, kink, DISC theory and the power of love. Lez-ssentials comes complete with a Professor Marston drinking game because every lesbian movie should be accompanied by heavy drinking. This episode also comes with an original Lez-ssentials song based off of the movie titled "I'm A Wonder Woman." Follow along on Twitter: Lez Hang Out (@lezhangoutpod) and answer our Q & Gay at the end of every episode. Leigh Holmes Foster (@lshfoster) and Ellie Brigida (@elliebrigida). You can also join us on Facebook.com/lezhangoutpod and Instagram (@lezhangoutpod). Leigh and Ellie dive into But I'm A Cheerleader for this Lez-ssentials episode, a recurring segment on the essential movies and TV shows in the lesbian canon. But I'm A Cheerleader is a 1999 movie about gay conversion camp starring Natasha Lyonne and Clea Duvall. Leigh and Ellie love this movie in all it's CAMP-y glory and have a lot to say about the Pepto Bismol colored outfits, finding their root, Andre living his best gay life and the ridiculous cast including RuPaul and Michelle Williams. Lez-ssentials comes complete with a But I'm A Cheerleader drinking game because every lesbian movie should be accompanied by heavy drinking. This episode also comes with an original Lez-ssentials song based off of the movie. "Mommy Dearest." Follow along on Twitter: Lez Hang Out (@lezhangoutpod) and answer our Q & Gay at the end of every episode. Leigh Holmes Foster (@lshfoster) and Ellie Brigida (@elliebrigida). You can also join us on Facebook.com/lezhangoutpod and Instagram (@lezhangoutpod). Leigh and Ellie dive into Imagine Me & You for this Lez-ssentials episode, a recurring segment on the essential movies and TV shows in the lesbian canon. Imagine Me & You is a 2005 British rom com starring Piper Perabo as Rachel and Lena Headey as Luce. Leigh and Ellie love this movie and have a lot to say about love at first sight, British accents, why this florist is everywhere and the ridiculous DDR scene. Lez-ssentials comes complete with an Imagine Me & You drinking game because every lesbian movie should be accompanied by heavy drinking. This episode also comes with their first original Lez-ssentials song based off of the movie. "You're a Wanker Number 9." Follow along on Twitter: Lez Hang Out (@lezhangoutpod) and answer our Q & Gay at the end of every episode. Leigh Holmes Foster (@lshfoster) and Ellie Brigida (@elliebrigida). You can also join us on Facebook.com/lezhangoutpod and Instagram (@lezhangoutpod). Whenever you hear a horrible euphemism used for lesbians: "vagitarian" etc.